President Trump’s compromise legislation to reopen the federal government funds border security measures in Pakistan, Lebanon, Egypt, and Libya. 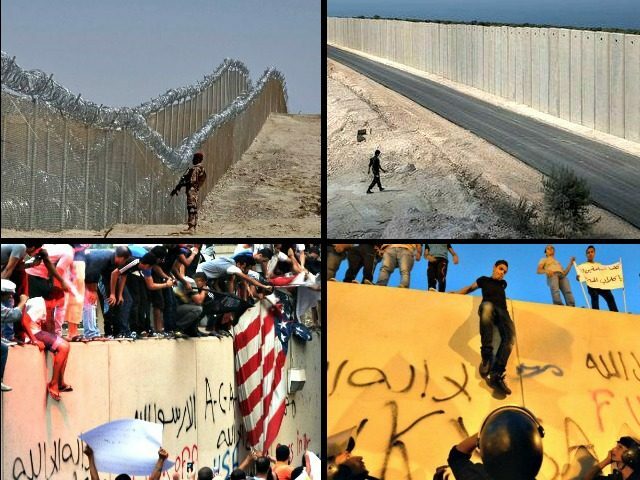 The legislation known as the “End the Shutdown and Secure the Border Act” by Trump and the Senate GOP Leadership includes American tax dollars funding border security in North Africa, and the southern and western regions of Asia. While $5.7 billion is designated to build bollard-style fencing at the U.S.-Mexico border, about $15 million is allocated to “border security programs” in Pakistan. The billions in U.S. taxpayer funding is also allocated to stabilize Libya, which includes increased border security for the country. The military of Egypt will continue to receive about $1.3 billion in taxpayer money that can likewise be used for border security efforts. Included in the compromise legislation is a plan to give amnesty in the form of three-year work permits to about a million illegal aliens and foreign nationals who would be shielded from deportation. The bill increases the number of low-skilled non-agricultural foreign workers that business is allowed to import every year instead of hiring Americans. The Senate bill is expected to be voted on this week.